Artesian Valley Health System welcomes Christine Donnelly, MD, FAAFP to our team of full-time providers and to serve as Medical Director. Dr. Donnelly has worked as a doctor in both rural and urban settings. In her early years as a physician she worked in a rural Wyoming family practice. 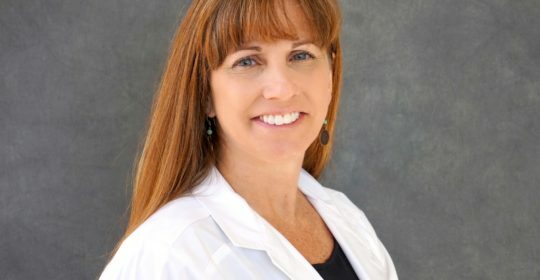 For the past sixteen years she has worked in a large facility in Tucson, AZ with over 100 doctors on staff. While in Tucson she provided primary care, intensive care, emergency services, and gynecology (GYN) services. She was also their Chief Medical Officer, serving in that role for over the last four years. “There were multiple things that attracted me to AVHS, there are great people I’ll be working with and the facility is very nice, it’s nicer than any of the hospitals in Tucson. It was also surprising that the health system is locally owned, it’s not operated or owned by a large corporation which is very hard to find these days. Overall, I feel like this is just a fantastic opportunity for me to provide good care for good people. I’m excited to bring my years of experience here and provide high quality and full spectrum care.” Dr. Donnelly shared. AVHS is excited to have Dr. Donnelly as part of our team. She is currently seeing patients at Meade Rural Health Clinic and Meade District Hospital. To schedule an appointment with her, please call the Meade Clinic at (620) 873-2112.